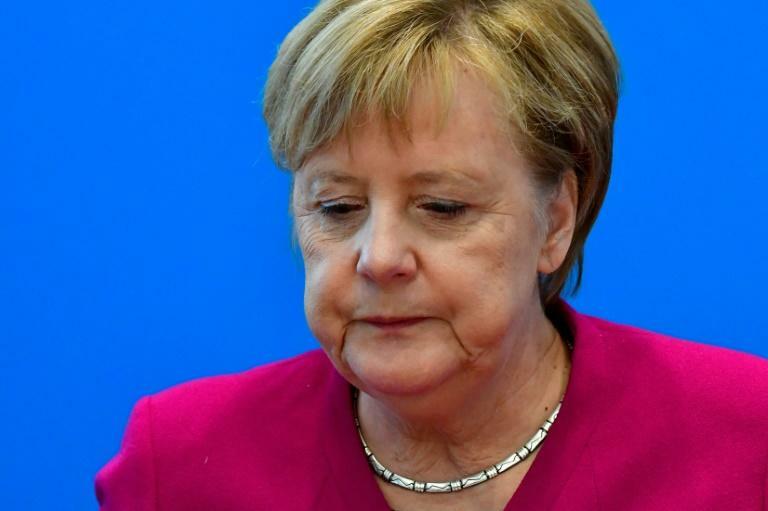 Angela Merkel on Monday announced she will quit as German chancellor when her mandate ends in 2021, as she sought to curtail a series of political crises that have rocked her fragile coalition. Often described as the world's most powerful woman and Europe's de facto leader, Merkel said she hoped her planned departure would end fighting within her coalition and allow it to focus on governing. "Today, it is time to begin a new chapter," she told reporters at her party headquarters. Referring to detrimental coalition quibbling, Merkel noted that "the picture that the government is sending out is unacceptable." Electoral drubbings like the one on Sunday in the western state of Hesse were "a watershed, but in them could lie a chance" for Germany's mainstream political parties including her own to find a way forward, she said. 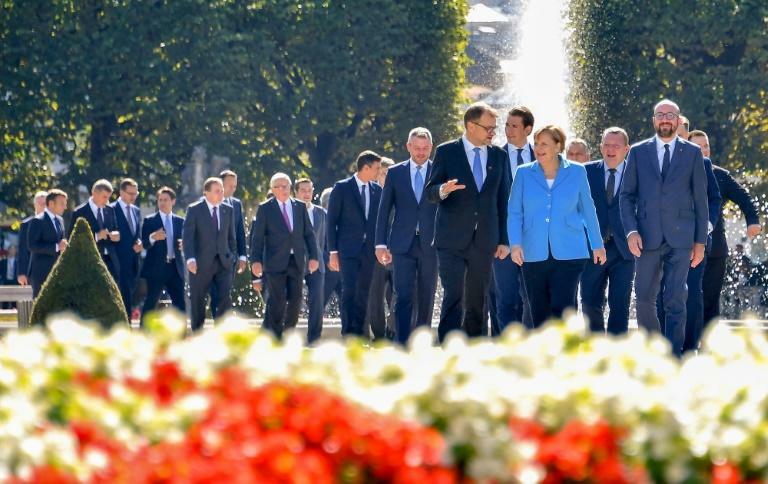 The 64-year-old chancellor will stagger her political exit by first giving up the leadership of her Christian Democratic Union after 18 years, when the position comes up for reelection in December. Merkel, who has led Germany for 13 years, said that she would neither stand in the country's next elections nor seek to renew her mandate as chancellor when her fourth term ends in 2021. At least four candidates declared their interest in Merkel's job after she made her stunning announcement. But she named no successor. "I will accept any democratic decision taken by my party," she said. Merkel has long held the support of Germans as a guarantor of stability and prosperity, having steered Germany through financial crises and kept Europe's biggest economy humming, with unemployment striking post-reunification record lows month after month. 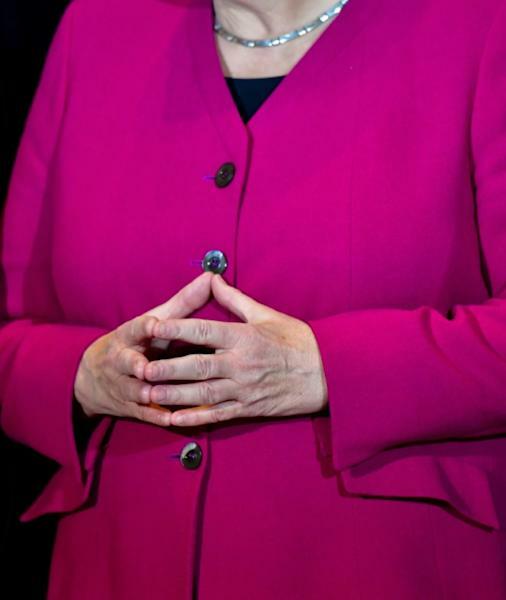 But her power began to wane in 2015 after she decided to keep Germany's borders open at the height of Europe's migrant crisis, ultimately allowing in more than one million asylum seekers. The mass arrivals left Germany deeply polarised and fuelled the rise of the far-right, essentially redrawing the country's political landscape. Railing against the newcomers, the anti-immigrant AfD is now the biggest opposition party in the Bundestag, and after a strong showing in Hesse now has seats in all German state parliaments. Anxious to stem the haemorrhage of voters to the AfD, Merkel's conservative Bavarian allies CSU had championed hardline immigration and openly attacked her, all of which ended up alienating moderate voters. The CSU's strategy also sat poorly with the third party in Merkel's uneasy coalition, the Social Democrats, which sent the government lurching from crisis to crisis. AfD leader Joerg Meuthen hailed Merkel's planned departure as "good news", as the party took credit for the earthquake in German politics. The daily Sueddeutsche Zeitung praised Merkel for her decision, saying the leader who has always been "sober, to the point of being cold" with the political careers of others, has "stayed true to herself". French President Emmanuel Macron, who has a good working relationship with Merkel, hailed her "extremely dignified" decision. Several key CDU figures now hope to succeed her, including party general secretary Annegret Kramp-Karrenbauer and ambitious health minister Jens Spahn, a frequent Merkel critic. And Merkel, dubbed the "eternal chancellor", might not get to choose her own timetable for stepping down, as her departure could be hastened if the SPD brings down the government before 2021. Following Sunday's hammering at the polls in Hesse, the second consecutive drubbing after a vote in Bavaria two weeks ago, SPD chief Andrea Nahles warned that her party might pull the plug. Nahles nonetheless voiced respect for Merkel's decision, saying the veteran leader has done "an extraordinary service" to the CDU. The question now is whether by offering herself up as a lightning rod, Merkel will deflect the disapproval that sent voters towards other parties. Merkel's first step towards the exit will certainly be felt across the European Union, where she has been an unflappable bulwark against global crises, Brexit and an unpredictable ally in the United States. Despite her global standing, Merkel said she has no plans to seek a post in the European Commission after bowing out of German politics, quashing speculation to that effect in Brussels.